It is my great honour to be here with you today to discuss the important issues of Migration and Social Justice. I particularly want express my gratitude to the MPP and the PA’s office for the organization of this event. In my home country Switzerland as well as in many other European countries, migration is primarily negatively associated these days. Right-wing, nationalist governments claim that migrants are to blame for low wages, the increase of crime and fears of relegation. They assert that if only the borders were closed, all problems would be solved, ignoring that low wages had been cause of social struggle for centuries. And as if crime and poverty were completely unrelated. And as if the fear of relegation was unfounded. Anyone who wants to contribute significantly to the discourse of migration has to think of migration and social justice together. A discourse on migration that neglects social justice claims leads to conflicts in the countries of arrival. It is therefore the task of left-wing politics to fight for strong welfare states. But social justice only for one country, as some proclaim it, leads to hatred of migrants and global justice into a dead end. Migration is very rarely voluntary. Multinational companies recruit their workers where labour is cheapest and trade unions weakest. Or because there is war and conflict in too many places around the world. Or because poverty in many parts of the world is so great that people have no other perspective than to migrate, oftentimes permeated by climate change. All these causes have something in common: they are the work of the powerful who benefit and not those who are affected. If we want to combat forced migration, we must combat the causes of flight. And combating the causes of flight means – it is as simple as that – reducing power and prosperity disparities. Increasing social justice and social equality which inevitably leads to strengthening democracy. At the same time, we must never forget that the right to migration is a human right. The right to settle where one wants to has always been the struggle of the weak against the rulers. And this human right must be defended. Those who talk about migration must talk about social justice and vice versa. However, both social justice and migration are interlinked global issues. Neither social justice nor safe migration passages can be achieved in only one nation. It is therefore a huge success that the international community has agreed on a set of rules for migration after the SDCs. And I am proud that Switzerland has made an important contribution to this. Governments have no more excuses now. With the SDGs and the Global Compact on Migration, concrete solutions are on the table how more social justice and a migration policy for the many and not the few can be achieved. We must do everything we can to ensure that this succeeds, be it where we govern, but also where we are in political opposition. This will not be easy. But it is necessary. Or as the great Burkinabe President Thomas Sankara said: «You cannot carry out fundamental change without a certain amount of madness. In this case, it comes from nonconformity, the courage to turn your back on the old formulas, the courage to invent the future.» Let’s be mad! 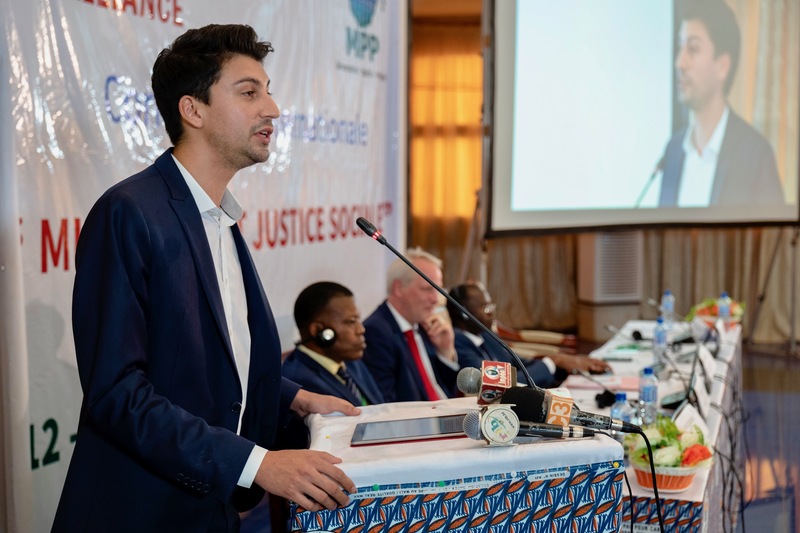 Speech given at the Progressive Alliance Conference on Migration and Social Justice in Ouagadougou, Burkina Faso, 12-13 October 2018.